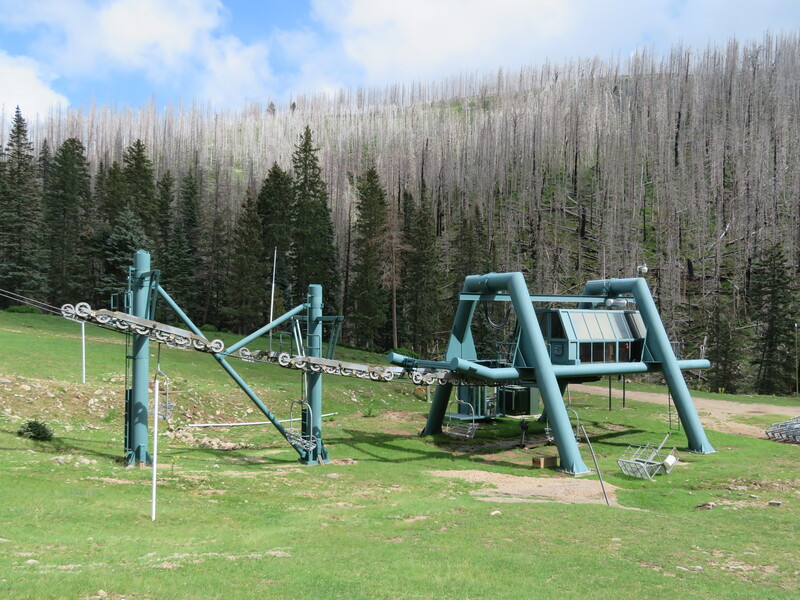 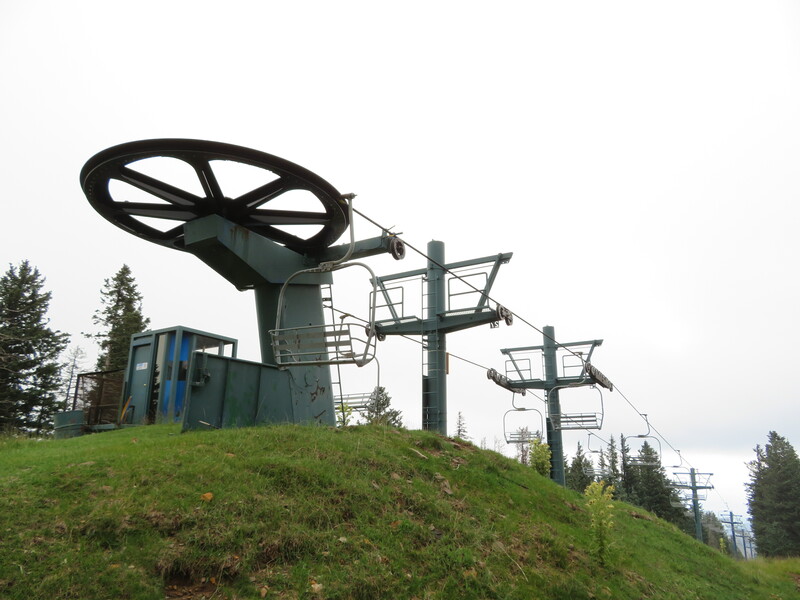 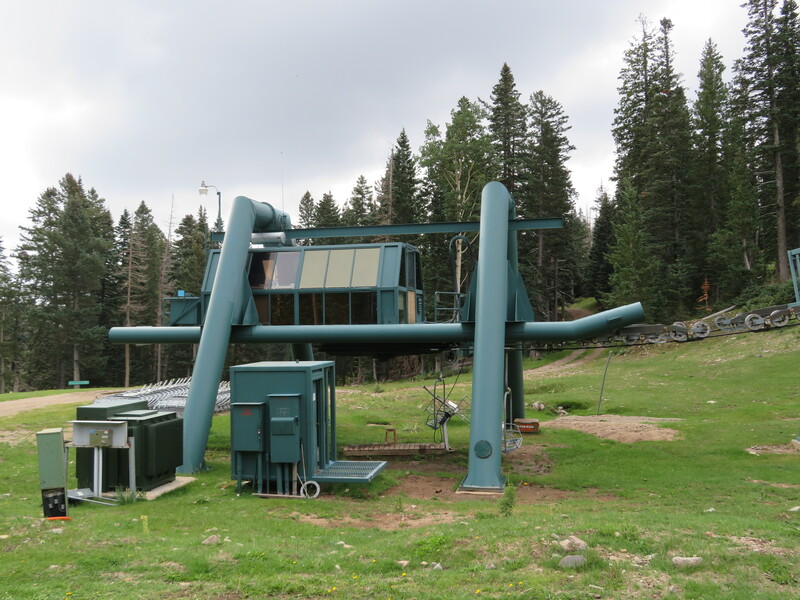 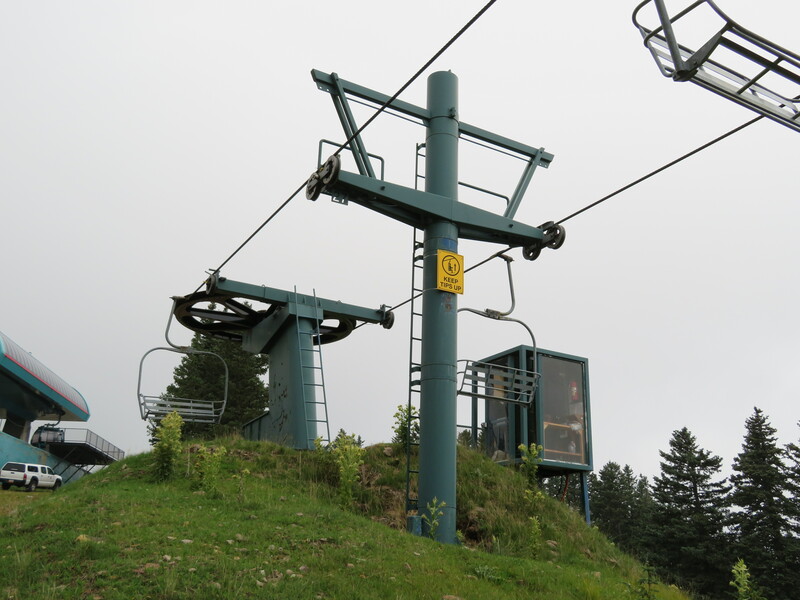 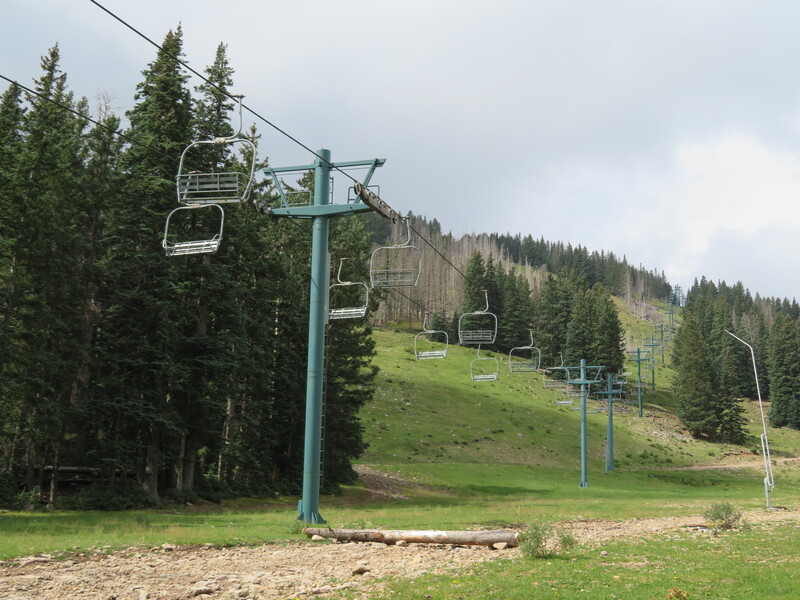 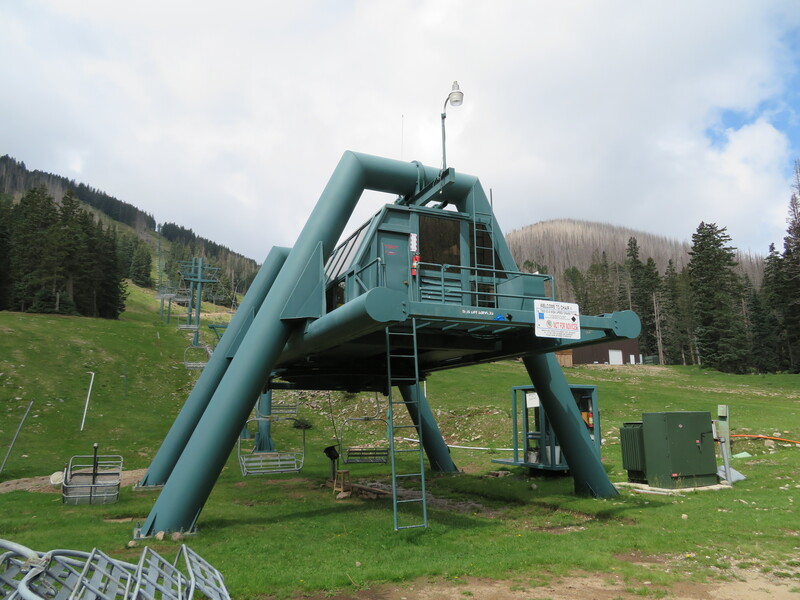 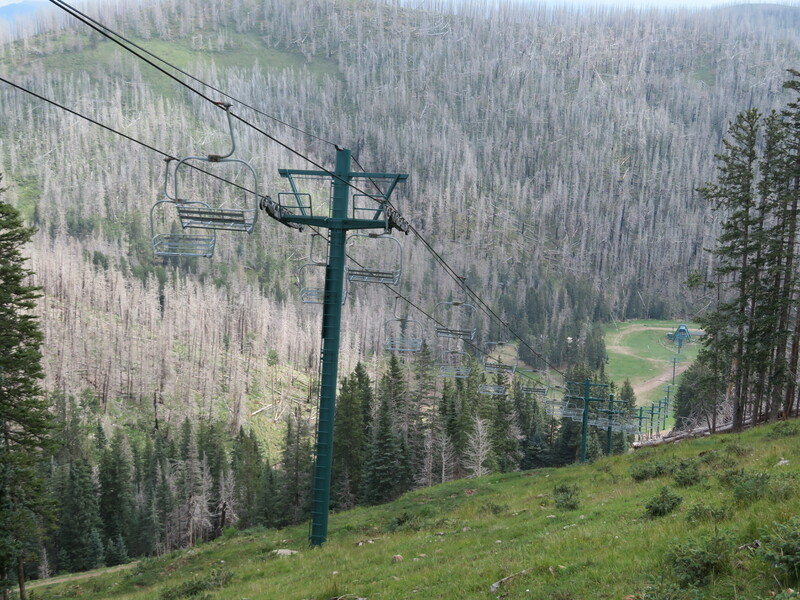 This lift was the second of four CTEC fixed-grip chairlifts for Ski Apache. 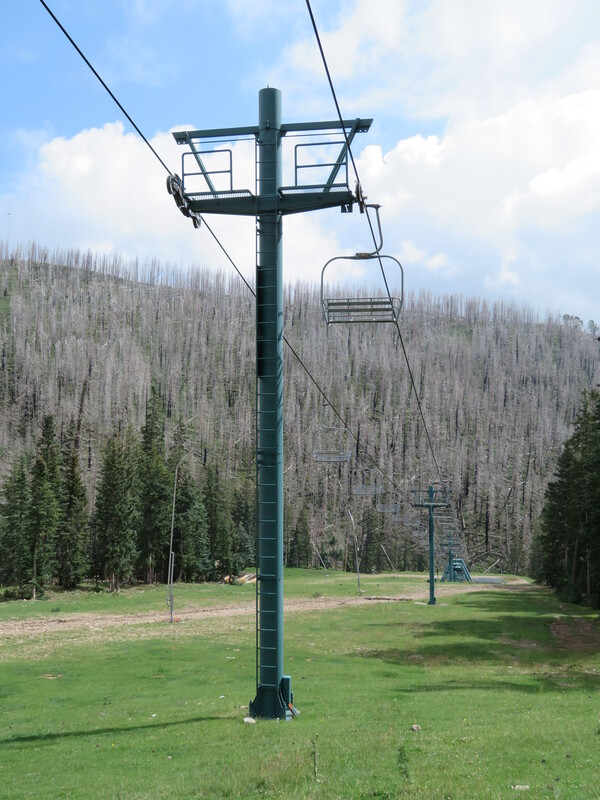 Tower 27 and the Orion fixed return. 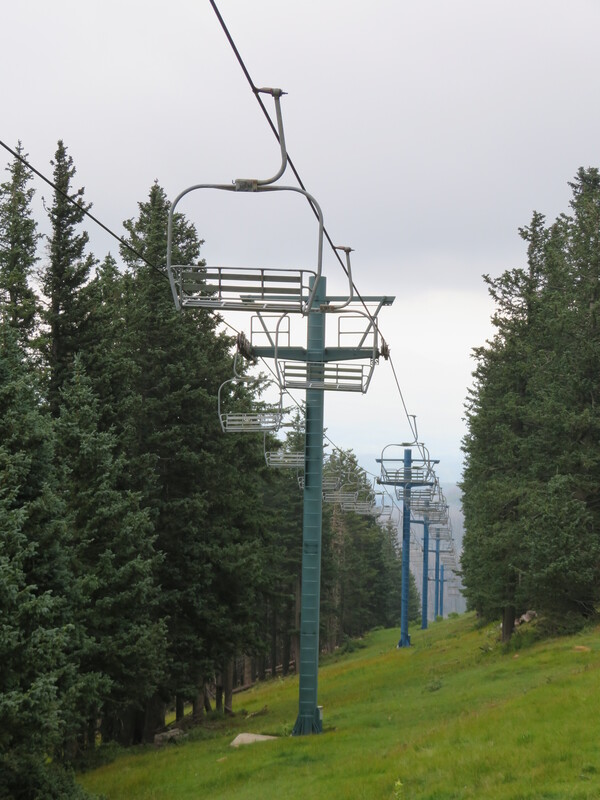 View down the lift line with bar-less chairs. 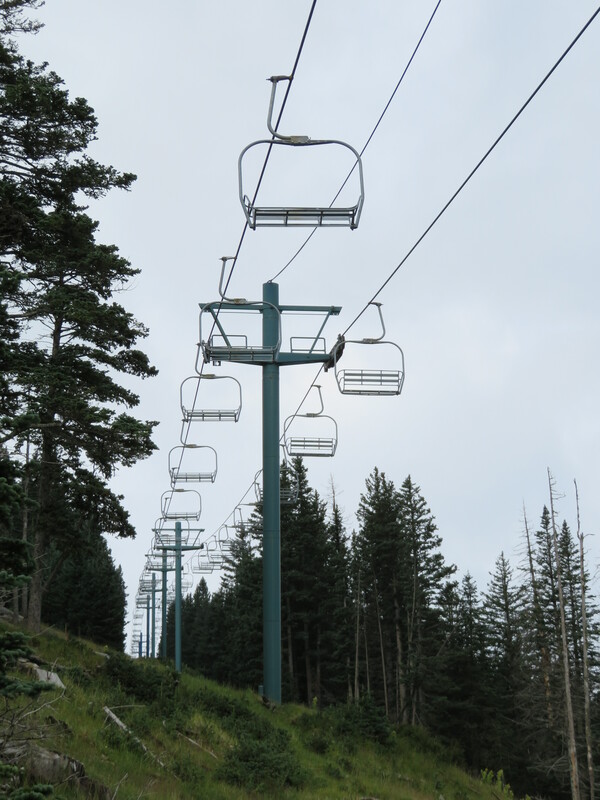 Steep middle section of the lift line. 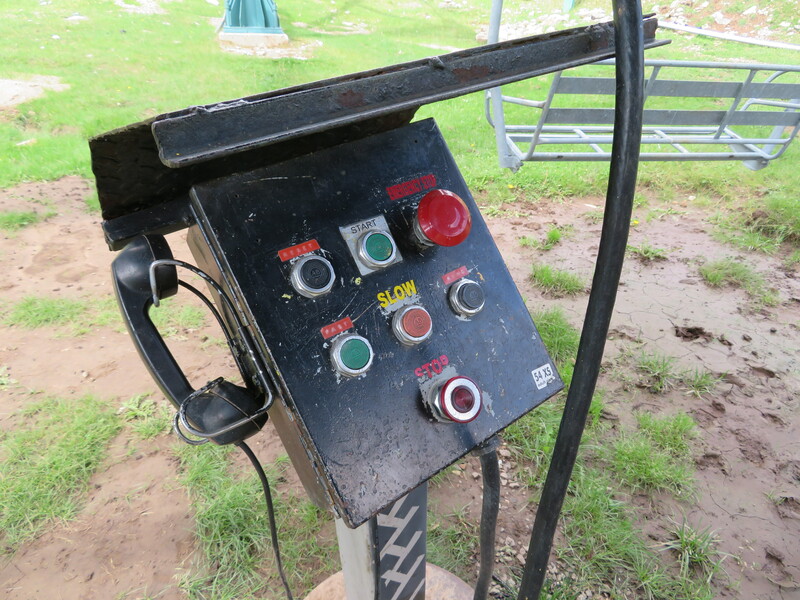 Side view of the Enterprise model drive.